I’m generally a big ’80s Bowie apologist but sometimes even I have to say: What the hell was he thinking? I was a 12-year-old pop fan when Let’s Dance hit, perfectly placed to love it and its usually-maligned follow-up Tonight. I enjoyed almost everything Bowie did in ’85 and ’86 too, from ‘Dancing In The Street’ and ‘This Is Not America’ to ‘Absolute Beginners’ and ‘When The Wind Blows’. But 1987 is another story altogether. Even as a 15-year-old, right from the start I sniffed something dodgy about Never Let Me Down and its accompanying Glass Spider tour. I’ve found a couple of things to love about the former in the years since (especially the great Lennonesque title track) but can’t find anything good about the latter. And the entire debacle is right there in all its glory on YouTube, of course. The show was certainly ahead of its time with its tightly-choreographed, narrative vignettes – just look at Prince’s Lovesexy and Madonna’s Blond Ambition tours for evidence of its influence. If you’re a big Bowie fan, the opening moments are amusing if a bit tasteless – guitarist Carlos Alomar attempts some ill-advised, sub-Van Halen guitar pyrotechnics while an offstage David repeatedly screams ‘Shut up!’ in ‘It’s No Game’ style. There then follows an outrageous opening medley featuring a bizarre, lip-synched version of ‘Up The Hill Backwards’ followed by a hilariously hammy spoken word section by Bowie which closely resembles Nigel Tufnel in Stonehenge mode. Is he taking the piss? Usually this question doesn’t cross your mind with Bowie, no matter how much he ‘tests’ his audience, but it does here. Then there’s a brutal depiction of gang warfare juxtaposed with Bowie’s cheesy, reassuring grin, a typically unsettling mixture of menace and child-like innocence. But he seems generally uncomfortable throughout the show. His attempts at audience interaction are always awkward and nothing links the songs; almost all end in blackout before another lumbers into view. The Glass Spider tour also features surely the most dated-sounding band in Bowie’s history, with huge, triggered drums, rambling synth solos, garish, unpleasant DX7 factory sounds and lots of cod-raunchy guitar from Alomar and Peter Frampton. This is a far too ‘muso’ bunch of musicians for Bowie. The fanfare of synth horns at the end of ‘Fame’ is just unforgivable. ‘Heroes’ is stripped of all romance and majesty and becomes a jaunty throwaway. ‘Sons of the Silent Age’ coasts in on a nicely Middle Eastern-ish vibe, a huge relief from the bombast, but is nearly ruined by Frampton’s nasal lead vocals. None of these versions come close to being definitive. Also the fact that Bowie only plays four tracks from the Never Let Me Down album just a few months after its release pretty much goes to show what he thinks of it. Bowie famously burnt the huge stage set in a field at the end of the tour. He must have wished he’d never set eyes on it. But within a year, he’d hooked up with avant-metal guitarist Reeves Gabrels, started work with influential dance troupe La La La Human Steps and embarked on some very interesting new musical adventures. This entry was posted in 1987, David Bowie, Live Reviews and tagged carlosalomar, davidbowie, glassspider, lalalahumansteps, neverletmedown, nigeltufnel, reevesgabrels, spinaltap, stonehenge. Bookmark the permalink. Yeah, 87-92 was the nadir of Bowie. He seemed absolutely lost in the era of synth-rock, dance-pop and pre-Nirvana 91 alternative-rock. The Glass Spider tour was abysmal. It’s like he was pretending (trademark Bowie) to be a super mainstream pop/rock-star filling stadiums but the results were sterile at best, and downright painful at worst. Any of the ’70s classics he played on that tour sounded like karaoke travesties played by a bland pop-rock band. Also, all the aerobics and other BS was distracting and obviously pandering to Michael-Janet Jackson and Madonna. Look at Prince and his Lovesexy tour of 1988 to easily understand how the apprentice utterly surpassed the master. The first album with Tin Machine was refreshing but the sequel TM II felt like an unnecessary afterthought and the tours tried too hard. Better jump from 1986 to the 1990 Hits Tour and then to BTWN. 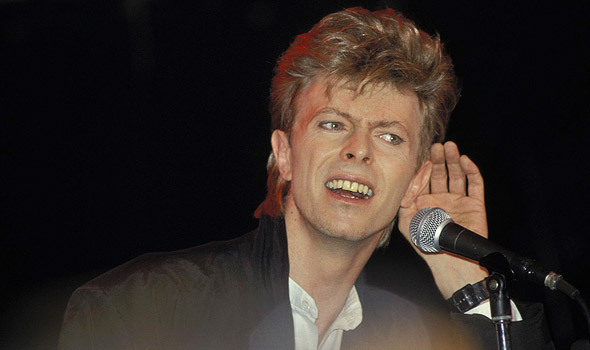 Hi Joan, thanks for dropping by, I am actually a big Tin Machine apologist. For me – the awful Hunt Sales songs aside – the second album was a big improvement on the first. But I like ’em both and listen to ’em fairly regularly. 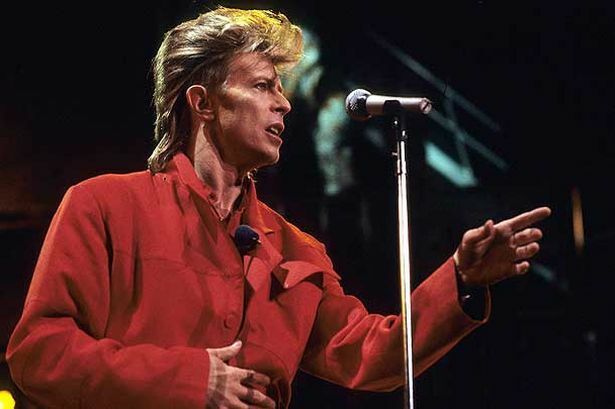 And I must confess I’ve never really enjoyed the footage I’ve seen of David’s 1990 Sound And Vision tour – the band sounded pretty puny and much of it seems as dated as Never Let Me Down, Bowie’s great vocals and stage presence notwithstanding.